This ski rentals offer the possibility to book your ski and snowboard equipment online. 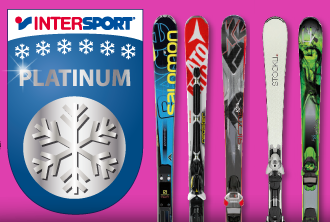 We are proud to offer you the best brands: Atomic, Stöckli, Rossignol, Head, Salomon, Burton, … Choose adult or children skis, free-ride or powder skis with wide rocker shape or just choose a category. At your arrival in our ski hire shop in Selva Val Gardena our team of experts will advise you best! An Intermediate skier is someone that has control over their skis, still skis cautious on more challenging terrain and is comfortable at moderate speeds. Athletic or heavier beginners will benefit from skis designed for intermediate skiers. Beginner skiers are first timers or someone very new to the sport that is still learning basic control. Learnin to snowboard doesn't end after a few lessons. 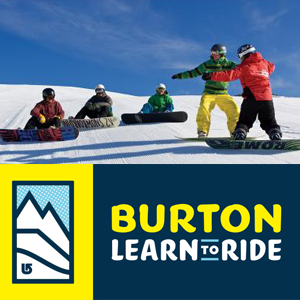 With Burton's Learn To ride you'll have fun all the time. Intersport Rent is decorated with the "RENT & SERVICE QUALITY" label and is particularly recommended. This label is a guarantee for experience, excellent quality and kindliness. 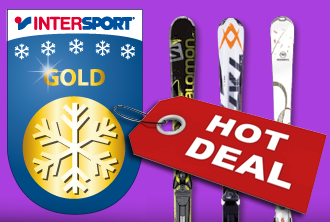 Discounted prices if you book online at INTERSPORT SKI RENTALS. 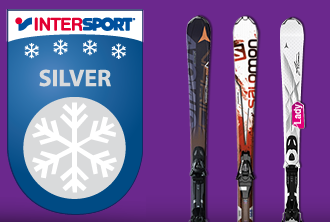 high quality all-round carver skis. At the quality Intersport ski rental, nothing is left to chance. The winter sport equipment is selected by the ski instructor and owner of the rental Armin. You'll get professional advice adapting to your level.